Greetings from Chicago where it is a balmy 74 degrees- Hurray! My son has fallen in love with porcupines and he has a home-made porcupine costume for Halloween. Very furry and with home-made quills- it's awesome. Right now we are glad to see that it will only be 50 degrees Friday, otherwise he would melt inside that thing! This would be my choice in porcupines! new-ish publishers who are doing things quite differently as well as offerings from some great composer cooperatives. I am also going to feature Deborah Simpkin-King's Project Encore, which needs more visibility in our choral community. I hope you will enjoy what each of these guest bloggers have to say and that you will appreciate their effort to put something together for this series. And of course I hope you will visit their websites! A few years back I was talking with my friend the composer Jonathan David about how much I loved his setting of Now Sleeps the Crimson Petal (which you must check out even though it’s published by Oxford and not by me). He mentioned the piece isn’t performed very often, and believes it’s a result of little promotion on the part of the publisher, an issue I’ve heard about from dozens of other composers. This turned into a discussion about publishing arrangements in general, how he gave up 100% of his copyright for the piece, and only receives 10% of sales for a score he basically promotes by himself. While he appreciates the boost having Oxford University Press on his resume offers, it begs the question of what part publishers play in the modern industry. I recently wrote an article discussing how I believe publishers can still be an important resource for both composers and conductors if they are willing to adapt to the needs of the 21st century. The reason I started See-A-Dot Music Publishing was because I saw a need for a different kind of publisher, one who partners with an artist to help their career grow and provides a well curated resource of quality music to ensemble leaders. It’s important to understand publishers don’t serve composers, we serve conductors. For us, it’s the unique relationships we build with clients which is the stand out feature of our organization. They know we are intimately familiar with each piece because we have an in-house ensemble to perform them, and conductors trust us to make recommendations for their groups because we take the time to learn about their ensembles and audiences. That trust is core to our business model. Conductors often send me their program themes to see if I have an appropriate piece in the catalog. I love these conversations and think they're the best part about being a publisher. Our relationship to composers is just as personal, but in a completely different way. Rather than a service relationship, we are investors in an artist’s career. I see the modern publisher’s role as similar to that of a record label. When I ‘sign’ an artist, I’m offering more than marketing and business infrastructure; part of our job is helping polish and develop a composer’s work and help prepare it for public consumption. Sometimes this is addressing complicated engraving issues (not uncommon for contemporary work), other times it’s editing pieces for content and form, which can develop into a mentor/composition instructor relationship with those in the early parts of their artistic careers. Those are the intangible features that differentiate us the most, but there are some concrete aspects of how work differently as well. Transparency is a big value for us, so I’ve listed below highlights of the contracts we have with composers (including percentage splits) and how they reflect a spirit of partnership and mutual support that makes sense in the modern day music industry. First, we split the Copyright of the piece 50/50 with our composers. This arrangement gives the composer a say in how their music is used and adapted, and it ensures a continued legacy of their work. As a publisher, maintaining the legacy of our composers is one of our most intimate responsibilities, and having a percentage of the copyright allows us to continue that work un-hindered. We also include a Right of Reversion which allows the composer to get all the rights of their music back if it’s not selling. This is a key element of our business relationship and keeps us accountable for the promise we make to be untiring advocates of our artist’s music. As a composer myself, I wouldn’t want my music lost in a back catalog. This seemed to best way to address what has become a common issue. Our contracts include a Right of First Refusal which states that if a composer is interested in publishing a new work that we get first dibs. It doesn’t mean exclusivity! We have a period of time to say yes or no, and if we don’t want to publish the piece then they can take it anywhere they like. As I said, this is a partnership, one where we mutually invest in each other’s well being and future success. How we divide Sales and Royalty Splits is a little better than the standard. Generally, we offer 10-20% for what we sell on behalf of the composer. The variation depends on how established the composer is and can grow as their career progresses. Any kind of licensing fee or passive royalty (mechanical, synchronization, performance, etc) is split 50/50. Ultimately, our goal as a publisher is to help our composers build a strong reputation and gain wide exposure. A symptom of that goal is selling scores, but the end result is a growing career for our composers. Even in a tightly curated catalog like the one we maintain, not every piece is a success (though they all deserve to be! ), but part of the publishing game consists of the most popular works ‘paying’ for those that don’t sell hundred of copies. This is how we are able to offer more opportunities to those composers just getting started. Of course, no single contract meets everybody’s needs, and many composers are happy to deal with their own publishing, marketing, and self-promotion. For those who want to focus their time and energy on composing, however, the right publisher can be a good route to pursue. Join our newsletter and receive free scores and recordings every month! Today almost every working composer or arranger creates their music in Finale, Sibelius, or a similar brand of electronic notation. In fact, many younger composers are writing their music right into their software, with perhaps only some sketches done at the piano with pencil and paper. I myself am going straight to Finale- I've become that comfortable starting right away into the program. I think it helps my ideas become more concise when I see them clearly on a "page", not that I won't heavily edit quite a lot as I go, and of course, later on when I really need to finalize things. When a composer has strong Finale/Sibelius skills, her submission to a publisher will be pretty clean and clear. In fact, most of us composers working today are quite proud of our engraving skills. We turn out a great looking score almost all the time. What does this mean? It means that publishers are being presented candidates for publication which are already very close to being camera-ready! The laborious metal plates are a part of history and the publisher saves hundred of hours of labor. Between the disappearance of the plate method and the fact that composers are supplying camera-ready "manuscripts", publishers are now saved oodles of time and hand labor. As an example, some of my traditional-world publishers have used my score straight up, although adjusting from my usual 8 1/2 by 11 down to their octavo size (by the way, most of us feel that octavo sizes should go the way of the dinosaur- we don't see any advantage to their use- if you can, let me know!). Years ago, Oxford would take my scores and reset every note- I was never sure why they bothered with that- their result looked almost exactly like what I had presented to them. Maybe it was some kind of British "I can do this better than an American" thing! Now that I've exhausted the score preparation issue let's jump to the financial picture. Let's look at where each dollar of gross income goes from the sale of a typical music score. These are my guesstimates-they are approximate figures. Here are the aspects of the traditional business model which currently rub almost every composer/arranger I know the wrong way, and which causes almost every one of us to join a co-op, self-publish in some way, or for some talented composers, simply quit writing in frustration (believe me, I know some very fine people in that category). 1) Composers are handing publishers virtually camera-ready submissions. Why don't we get any financial credit for that? May I also add that publishers no longer have to do large print runs to keep costs down. With modern presses, there is no reason that anyone has to do a 2,000 copy run of anything and warehouse copies until they sell. This is another cost-saving area that publishers are benefiting from today. I think it's great, but please, dear publisher, don't tell me you have massive costs in warehousing hundreds of thousands of copies- it's just not true anymore). 2) Why do publishers present such hefty discounts to retailers? And when the publisher sells directly to the public (which is more and more the case because of the internet), why isn't the composer offered any cut of that large savings in publisher cost per score created and sold? 3) Publishers have fallen into the trap of hawking nothing but this year's new releases. Or they will hawk a new piece for about two years. If the piece doesn't sell in that period, it dies. I have actually been told by a publisher that they don't care what a piece does after two years. If they make money on it the first two years, then they are happy. That attitude really rubs composers the wrong way. Most of us are trying like the devil to write music that might endure, it's part of the classical music point of view we were raised on at the college level. If the piece gets no support the composer can't regain control of the piece since he has signed away the copyright (although a few houses do have a right of reversal clauses- that's all I will sign these days). Additionally, composers today are very present at music conferences. We are out there meeting conductors- we do a lot of the publicity wok ourselves. Sometimes I am amazed that we do so much for that for our traditionally published pieces when we are only receiving a 10% royalty. Composers have websites and blogs. We diligently answer questions e-mailed to us from conductors. We Skype for free with choirs all around the country. We spread word about our self-published music but also about the scores we have with traditional publishers. We aren't the composers of yesteryear who were pretty much inaccessible to the public, who didn't make appearances at conferences, who were never much part of the selling and marketing of the music- the publisher was supposed to do all that. Composers' music was heard, but they themselves went quite unseen (with some obvious exceptions of course). Once again, Oxford comes to mind. When I first was published by them there was a publicity arm in the NY City office dedicated solely to giving personal advice to conductors on new Oxford releases. They would suggest repertoire, especially the new repertoire, to conductors personally. They would publicize all this and even suggest concert programs to people. Oxford composers wee never asked to do any of that. It was part of the business model at Oxford carried out by their employees assigned that task. That disappeared completely when Oxford HQ in England shuttered the US office. 4) The copyright issue has become huge. Many of us just don't see why this has to be this way. Look at Eric Whitacre having the cojones to up and leave Walton overnight and strike out on his own. Look at the late Stephen Paulus starting his own company years ago. Most composers question the need to permanently sign over the copyright of their creation. 5) Composers are frustrated by the nature of what most publishers are looking for. Their key word is accessibility- often this translates into "dumbed-down". Now don't get me wrong, I love accessible music- we need it and many of us try to write quality accessible pieces.We're not always trying to write mixed meter eight-part counterpoint in Icelandic! I have something I call the 10/90 90/10 syndrome. The typical mainstream publisher would like access to the top ten percent of a quality composer's work which can be deemed accessible (in a good way) and which will create the most sales. They then want to keep 90% of that music's sales and only pay the 10% royalty. It's an upside down world. Even more vexing is this: virtually none of our very best pieces, the ones we have spent the most time crafting, the ones with truly great texts, with challenging passages worthy of mastering by a choir, as well as our longer, often multi-movement works commissioned by the better choirs in the country are NEVER published by a mainstream publisher. Every accomplished composer I know has a thick file of these finer works. We don't even try anymore to get them published by a mainstream publisher- we know they will be rejected. We struggle to get 2-3-4 performances a year across the country for them via word of mouth. I don't think there is a mainstream publisher today in the US who truly nurtures and markets a composer and helps them develop their composing career in the way this was done decades ago. It really is a sad state of affairs. The worst gobs of dumbed-down music create a terrible devastating loop. As younger conductors see poor music in the marketplace, they often buy these products especially for middle school and high school choirs, When those pieces sell, the publisher looks for similar dumbed-down pieces to fill the next year's new releases. The loop just keeps making things worse. So there you have it- a tiny bit of a rant, I suppose (hey, I was trying to stay calm!). But these truly are the frustrations today's composers have about the situation between themselves and the traditional publishers. We truly care about conductors and singers and want to create quality music for the performers out there. The disconnect between composers and publishers today is large. I wish it weren't so. And honestly, I do not blame anyone personally for this situation. I'm quite more mellow about it than I was five yeas ago, maybe because I believe that some of us are inventing new ways to do things. If a company wants to keep their old model, they are free to do so. Why should I tell them what to do? What I do hope is that more and more people will discuss this and look for solutions. We composers actually love the relationships we have right now with conductors and singers. I think there's a lot of Big Love going both directions. Back to solutions- I wish we could find one for all these wonderful pieces I mentioned earlier that get premiered and then lay unpublished, unknown, and so on. If a traditional publisher could find a way to dedicate a portion of their catalog to some truly fine, multi-movement works by our best composers today that would a great thing. Maybe they could look at what Deborah Simpkin-King is doing with her Project Encore project. If Deborah can do this all on her own, why can't the industry notice what she is doing and pick up the ball bigtime on it? At this point I still publish a few things with mainstream publishers, but it's only because a specific series editor has personally asked me for a piece for their catalog. These are usually great people, I want to please them and I am thankful for them for asking for music. But everything else is sold on my website (which is really in need of updating, ugh). COMING UP NEXT: Some proposed changes in the divvying up of that $1.00 gross income. And a preview of some of the ways composers have banded together as well as some of the ways small, new publishers are changing the rules. And starting next Monday, a succession of these trendsetters will be featured every few days. Hope you will keep reading! Music Publishing Trends, Part One of a MegaSeries! Hi all! Recently I wrote a blogpost here and shared it on the ACDA FaceBook page. It was read by a whole lot of folks. It was a blog reporting that Iowa ACDA has created a Repertoire and Standards chair to increase Iowa conductors awareness of self-publishing composers (and perhaps small publishers?) who deviate from the old publishing model. Appointed to this new position is Connor Koppin and I shared the introduction Connor wrote to Iowa ACDA members. I have decided to feature, in the next week or two, various composers who have created their own co-ops, shall we say, as well as small choral music publishers who have broken, in some way, with the business model that the longer established publishers have been using. I will try to start summarizing what that old model is/was and, if you read Connor's words from the link, or mine here, you will get an idea of what is going on. For many of you this isn't news, but for many it is. Part One: the old model of choral music publishing (we'll stick to choral for now, not that other music types are much different) has been around a long time. But many aspects have changed drastically, yet composer/publisher contracts and agreements have barely changed at all. I will first note the biggest change that has occurred since about 1990, the invention of music engraving software (Finale, Sibelius plus others) which is now the method of choice for about 99% of composers and publishers. In the good old days composers just composed (and maybe conducted). They took pencil or pen to manuscript paper and had at it. After scribbling a double bar at the end of a new piece their work was now done (let's assume we are talking about someone who has a reputation as a professional composer, perhaps in the 19th or 20th century, and we'll also exclude 1960's through 1980's avant-guarde composers who made their own printable scores using the ozalid process). From here the publisher took over the laborious task of creating a highly professional-looking score which musicians could easily read. The publisher would have to proof the scribbles of the composer (and I mean scribbles!) and then set about creating a layout, with EVERY ELEMENT then punched into a zinc metal plate, BACKWARDS for every page! Ponder that for a moment. Whether a simple little Schumann song, or a Dvorak string quartet, or Stravinsky's Rite of Spring- everything was HAND PUNCHED by extremely diligent craftsmen onto metal plates, which then were sent to the printing presses. Think of the enormous variety of elements within a musical score- each note, beam, slur marking, each hairpin dynamic, each fermata, etched into a metal plate by hand! I think the younger you are, the more you may be unaware of how printing music used to be accomplished before computer engraving software such as Finale or Sibelius. What we have with Finale now would seem like absolute wizardry to people from the past. Here are two absolutely fascinating videos by the publishing house of G. Henle in Germany where you can see the process in action. The videos mention the time needed to create one page of fairly straightforward music- one video states three hours, and I believe the hour says 6-8 hours. Can you imagine how long it would take to produce heavily orchestrated conductor's score pages for something like the previously mentioned Rite of Spring? Sidenote: where did the word score come from in regard to music publication and printing? Answer: from the process of scoring the metal with a five-pronged tool to create staves. Before this first blog in the series become too long, I'm going to direct you to more videos. These next videos are more recent processes which involve ink and paper, and lithography. And at my next posting I will pick up the thread as we examine publishing past and present, and the changed/changing workload relationship between composers and publishers. Ha- check out the rub-on (press-type) letters and symbols! Here is a process which begins by utilizing an oversize score for ease of detail work which is then reduced by the camera. Replay: Book Review of "Mentoring in the Ensemble Arts"
Continuing the parade of my most highly-read blog entries- here is one that was a big hit- a review of Tim Sharp's book, "Mentoring in the Ensemble Arts, published by GIA. FYI, Tim has a followup book called "Collaboration in the Ensemble Arts", which is also available from GIA. Hope you enjoy reading this and consider purchasing the book(s)! (published by GIA, ISBN 978- 57999-835-6, 173 pp., price $21.95). "Conductors are artists—but they also have a singular responsibility to go beyond the music to nurture the inner voices of their ensemble members. In Mentoring in the Ensemble Arts, author Tim Sharp examines the mentor/protégé dynamic and its critical impact on the lives of ensembles and their conductors. Sharp draws from research, his own experience as a choir conductor, mentor, and protégé, and his travels as Executive Director of the American Choral Directors Association. The result is a profound portrait of this rarely discussed aspect of a conductor’s life. Coming full circle, Mentoring in the Ensemble Arts reinforces a conductor’s own desire to develop his or her own personal learning community to continually strive for excellence by being a protégé to other leaders. Are Mentors Born or Built? This book fills a void of information and supplies practical guidelines on mentoring within the arts environment. While there are a number of research projects and scholarly books on mentoring, this is the first reader-freindly effort to truly address the mentoring of individuals or even ensembles within the realm of a music rehearsal room, or any other ensemble art situation (dance, acting, etc). The book delineates the informal/formal- passive/active ways that individual mentoring can initiate and often evolve and sets up suggestions as to both purpose and structure of such relationships. One of the strongest features of the book is a guided exercise called a “Thought Experiment” at the end of a number of the chapters. For those people that purchase the book I recommend that you do these experiments fully and not just read through them quickly. They will be of great value as you crystallize your own thoughts and philosophies on the mentoring process. “We learn from the mature Leonardo, who later in life becomes a mentor, by his constant posing of the question "perche?" Or why?" “Generativity is the term coined by psychoanalyst Erik Erikson to denote”concern for establishing and guiding the next generation”. …the progress of generativity is the imparting of proven techniques, skills and life lessons (including the “why” of the profession) from mentor to protégé”. "...the ideal mentor may emerge as a coalition of peers, including fellow ensemble members, a personal learning network, other supervisors, workplace subordinates, and colleagues of equal rank, all mentoring each other" ...the value of group mentoring is that the activity is reciprocal democratic." For anyone already experienced in the mentoring arena, or for those who may wish to become mentor or protégé, this is an invaluable book, for it supplies definitions, formulates questions and answers, and provokes the reader to think along with the author- who all the while conveys his thoughts in clear and persuasive English. For those within the music field, including those who work with ensembles and especially those within the collegiate academic world, this is a must read. About Tim Sharp (BM, MCM, DMA) is Executive Director of the American Choral Directors Association (ACDA), the national professional association for choral conductors, educators, scholars, students, and choral music industry representatives in the United States. 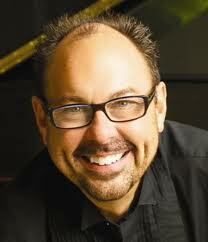 He represents choral activity in the United States to the International Federation for Choral Music (IFCM). Sharp, himself an active choral conductor, researcher, and writer, has varied his career with executive positions in higher education, recording, and publishing. Prior to his leadership of ACDA, Sharp was Dean of Fine Arts at Rhodes College (Memphis, TN), and earlier, Director of Choral Activities at Belmont University (Nashville, TN). His research and writing focuses pedagogically in conducting and score analysis, and various published essays betray his eclectic interests in regional music history, acoustics, creativity, innovation, and aesthetics. He has conducted university, community, church, and children’s choirs, and continues to serve as a choral conductor and clinician in the United States and internationally. Sharp resides in Edmond, OK, with his wife Jane and daughter Emma. American Boychoir tour of the Midwest- don't miss them! Hi, all! Hope everything is going well for you and your music programs. I'm posting this on a very drizzly afternoon in Chicago. At least it's not cold out! I am writing to let you know that the American Boychoir is on a great concert tour of the Midwest. Artistic director Fernando Malvar-Ruiz and the touring choir are amazing- I saw them most recently at the ACDA Southern conference in Jacksonville Florida last early Spring. They blew the audience away with an amazing range of repertoire and extraordinary singing artistry as well as unique stage presentation. It was an absolute treat to hear them. While in Jacksonville I was able to spend some social time with Melissa Malvar-Keylock, Fernando's very talented wife- she is one of the directors at the also very fine Princeton GirlChoir. We both discovered that we are proud germophobes, opening doors with our elbows or forearms, etc. It's how smart singers don't get sick- so we don't mind if someone laughs at us. I get sick about zero-one times during flu and cold season- so there! I also have a connection with the Boychoir since the very talented Fred Meads is the director of the training choir. Fred commissioned me to write some pieces for the Fort Wayne Children's Choir a few years ago when he directed there. Two of the pieces are published in Janet Galvan' s wonderful treble series with Roger Dean/Lorenz. I had a great time in Fort Wayne with Fred and his choirs there and even went and visited the grave of Johnny Appleseeed. Yes, Johnny, real name of John Chapman, is buried in a tiny little cemetery in Fort Wayne, surrounded on all sides by zooming car traffic, poor guy! Johnny loved his apples! Note the offerings! If you live in Illinois, Indiana, Ohio, and especially Minnesota (where they will spend the most time) get thee to one of their concerts! You won't regret it- the Boychoir is AMAZING! Here's a quick view of their schedule just below and here is a link to their website.